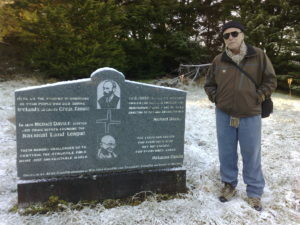 Jose Carneiro, Brazil, visits the mass Famine grave, Swinford, Co. Mayo, marked by AFrI. 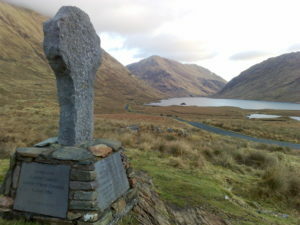 Mullan began to question the whereabouts of Ireland’s Famine dead. He discovered that there were, literally, hundreds of unmarked mass graves peppered throughout the island, containing the sacred remains of Ireland’s poorest and most vulnerable people. He sought to bring about a consciousness that would lead to their marking and respectful restoration. AFrI lead the way by initiating a number of monuments and memorials throughout the country. It is a process that continues.